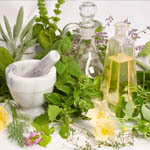 Homeopathy is a controversial system of care that is practiced extensively in Europe, Asia and South America. It is mostly practiced for functional and minor ailments. A few reports recently raised the issue that homeopathy might have a role in cancer care, both in symptom management as well as in disease progression. In one of the recent studies, coming from MD Anderson Cancer Center in Houston, homeopathic remedies exerted preferential cytotoxic effects against two human breast adenocarcinoma cell lines (MCF-7 and MDA-MB-231), causing cell cycle delay/arrest and apoptosis. These effects were similar to effect of paclitaxel, a common chemotherapeutic drug used in the treatment of breast cancer, but with these remedies there was no toxic effect on immortalized normal human mammary epithelial cells (HMLE). From the review of current scientific data, lab reports and animal studies, it seems that there are clues that homeopathy might play a role in cancer care in both symptom control as well as in disease progression, but in order to substantiate these clues there is a need for appropriate clinical trials that will support this use. Is there a role for Homeopathy in cancer care? All rights reserved. No part of this website may be reproduced, stored in a retrieval system or transmitted in any form or by any means, electronic, mechanical, photocopying, recording or otherwise, for use by other websites, commercial entities or other entities that require fees for their services, without prior written permission from Moshe Frenkel MD.